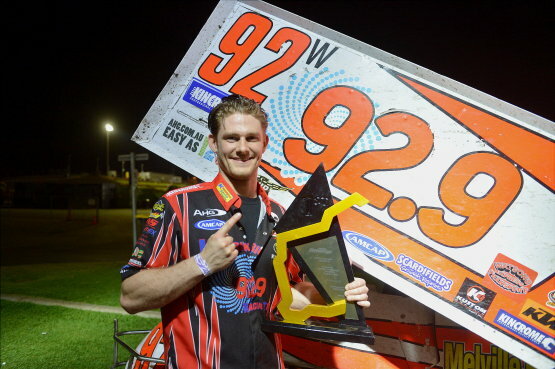 WESTERN Australian sprintcar champion Jason Kendrick went close to winning another feature race win at the Perth Motorplex last Saturday night, but ultimately conceded the showdown to the very experienced Ryan Farrell. Farrell is the Man to Beat for the New Sprintcar Knockout Series! IN the new sprintcar knockout series at the Perth Motorplex there is no place to hide. IF you love a bit of carnage and plenty of biffo then the Perth Motorplex is the place to be this Saturday night when DiCandilo Steel City presents the Silver Cup and Demolition Derby Grand Final. Steve Loader bringing burnout blitz to Perth Motorplex! DAYNE Kingshott won the final of the Sheehan Haulage Speedcar Grand Prix Series in convincing fashion from Kaiden Manders and Todd Waddell at the Perth Motorplex on Saturday night. RYAN Farrell had plenty of reasons to smile after he won The General John Day Tribute Night feature race at the Perth Motorplex on Saturday night from Jason Kendrick and Victorian Jamie Veal. In a first for Australian Speedway Watsons Racing and Watsons Express Transport are giving the opportunity of a life time to a child aged between 10 and 15 to win a complete Junior Sedan race team. THE Coates Hire Late Models will be part of a sensational night of Super Speedway action here at the Perth Motorplex this Saturday night. THE Real Deal, Jamie Veal, is a welcome inclusion in the first round of the AHG Triple Crown that will be held at the Perth Motorplex this Saturday night. THE Perth Motorplex will host the sixth and final round of the Sheehan Haulage Speedcar Grand Prix Series this Saturday night – it will also be another round of the Pool Shop Speedcar track championship and a strong field is locked in.